On November 21, WECAN Latin America & Caribbean regional Coordinator, Kiyomi Nagumo, and longtime ally Carmen Capriles of Reacción Climática will facilitate the Andean Walk for the Climate outside of La Paz, Bolivia. Learn more about the action below, and join the Spanish event page here. 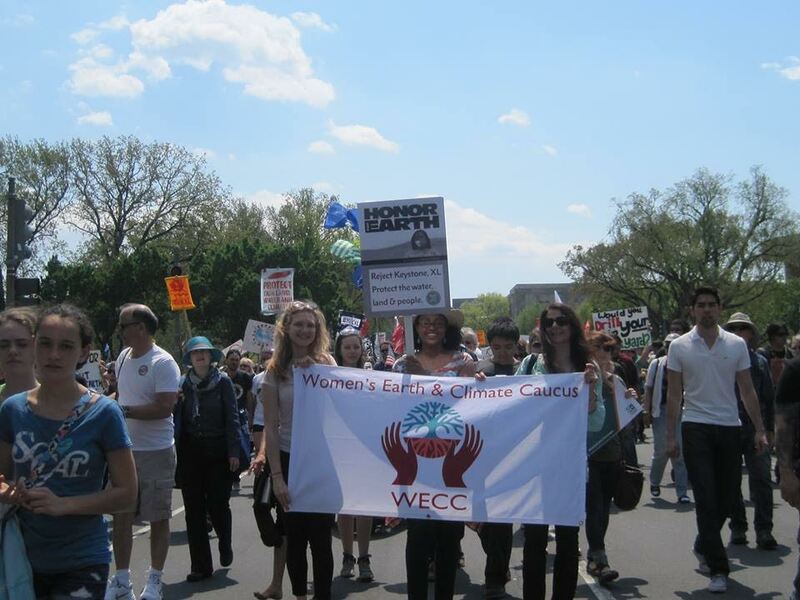 Walking for the victims of climate change and calling for climate justice! The Andean Walk for the Climate will take place on Pampalarama; we will invite people to participate and make a call to the governments of the world to make real commitments to the planet and not lead to a climate crisis! This November 21 we invite you to join walk the climate Pamapalarama, on the slopes of what once was the glacier wila malkisiñani, complex Chacaltaya massif of the Andes mountain range, to visualize the impacts of global warming on our home and our Apus (local name for the mountains, the granfathers). This activity aims to raise awareness among the Bolivian population on the impacts of climate change and is part of a global campaign that tries to appeal to the conscience of the international governments that could boost in Paris take action to reduce greenhouse gases that are accelerating global warming and causing the retreat of glaciers in the world, this march will also perform in other ecosystems of the planet. This is the fifth time we organized a tour to visit the glaciers that surround La Paz city, aiming to reconnect with nature, observe the impacts of climate change in our immediate surroundings and reflect on our impact. Pampalarama is a community that use to live thanks to the glacier Chacaltaya the first tropical glacier in disappear in south America during 2009, the community since then had to change their livelihoods, they use to live from their production and a few years ago they started with tourism to have some way of income, we consider this community a perfect example of resilience, but further more we consider this people as climatic victims. From 30 November to 10 December, cop21 will be held in Paris, France where the world governments have already expressed their commitments that are leading us to the climate crisis, regardless that there are already victims of climate change. We denounce and call the attention of the general public about this problem while generating awareness in all of us to combat climate change. The activity will be open to all who wish to participate, we expect a maximum of 200 persons from the city of La Paz and around 30 persons from the community including 7 specialized local guides, among the participants we hope to have people of all ages, especially aging people that will share their experience, we will also hope to have participation from kids from last years of school, we want to have a specific focus on women and we will have indigenous people from the community (highlands) as well as the support of the Uchupiamonas and Moseten Nations (indigenous people from the Amazonian lowlands), we want to have most of the sectors of civil society includes but especially those that are most vulnerable. This activity will be organized by Reaccion Climatica, WECAN LAC and Women and Mountain with the support of HelpAge International-Bolivia, Casa de los Ningunos, TierrActiva, Community, University for Older Adults, Madidi Jungle, Indigenous Nations of San José de Uchupiamonas and Mosetnen, Espacio Emerge de Ellas, 350-Bolivia and will be part of the Global March for the Climate, the Climate Strike and the Women’s Call for Climate Justice. “After a seven-year fight and a deal that was claimed ‘done’, US President Obama has rejected the KXL Pipeline – a project that would have locked in devastating emissions and tipped us closer towards climate chaos. We commend President Obama for taking decisive action, and are hopeful that this momentum will continue forward into COP21 climate talks later this month. As we celebrate this great victory – we remember the terrific efforts of all those who made this happen and the dedicated and fearless grassroots activism and organizing that has grown ceaselessly across this continent in the defense of all we hold dear. 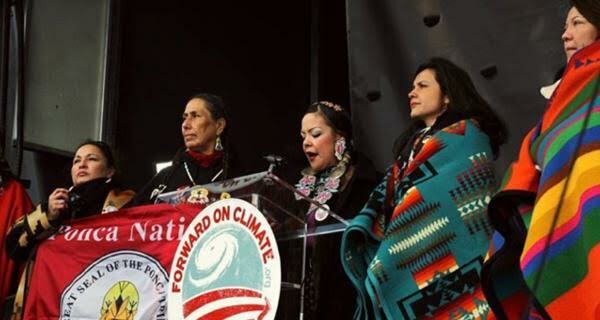 The sheros and heroes of this victory are our Indigenous sisters and brothers and the frontline communities who have been at the forefront from the very start. 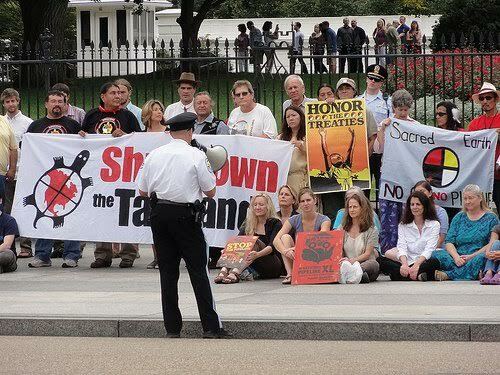 Click here to view more photos of WECAN and allies participation and organizing in the fight against Keystone.